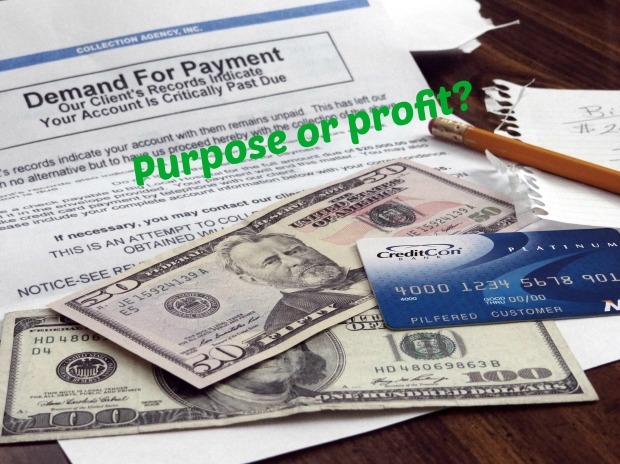 Does your purpose make you more profit? Are purpose led businesses more successful? The purpose of every business is to make a profit. Most do this by solving a problem or creating delight, and this is what their customers pay for. It could be argued that every business makes the world a better place for its customers but some now declare that they also have a “higher” purpose. There is a long tradition of philanthropy in business and Corporate Social Responsibility is an established way for businesses to “give back” and use their profits for social good. Social Enterprises take the idea of making a profit in another direction, existing specifically to tackle social problems, improve communities, people’s life chances or the environment by selling goods and services in the open market, and then reinvesting their profits back into the business or their chosen community. The third layer is “purpose-led” business. These have a different face to the more established business models. While some have arisen from a deep desire to do things differently some could be accused of jumping on a marketing bandwagon that aims to buy customer loyalty. Click here to get free tips on how to make more profit delivered straight to your inbox! Do purpose led businesses sacrifice profit? Some businesses, like Patagonia are inseparable from their purpose. Their whole production and marketing process revolves around protecting the environment that their customers love to explore. They could manufacture cheaper and make make more profit but that isn’t their purpose. Tim Meads of Yeo Valley Farm acknowledges that he could make more money if he didn’t believe in and practice organic farming methods. Both businesses, and more like them, have fiercely loyal customers but is their “purpose” simply a way to get a competitive edge? When Innocent Drinks sold out to Coca Cola their profits nose dived by 97% although their products were still made the same way as before, so customer loyalty is obviously powerful and something not to be trifled with. Simon Sinek ‘s TED talk expounds the theory that great leadership comes from people who have a purpose that inspires followers and suggests that people in business who understand and communicate “why” they do what they do, will get better results because customers will buy into this purpose. Compare this to purely profit led businesses that we love to hate: Monstanto, Ryanair, McDonalds, Starbucks, Microsoft. We don’t like them but we still buy their stuff. Ryanair is said to be cleaning up its act but only because Easy Jet is getting more business in the low cost air travel sector by adopting a more “touchy feely” attitude to customers. New transport service Uber became incredibly successful by offering customers a cheaper alternative to regulated taxis but then fell out of favour because of the way it sabotaged it’s main rival, Lyft. Customers again made their feelings known. What does this mean for us as small business owners? The clamour for purpose led businesses is getting louder but does it have any significance in the way we run our own small businesses? Is it important to show we are adding value to society; to have a conscience; to make customers love us; or is it enough to do a good job and make a profit without doing harm? Has profit become such a dirty word that having a “higher purpose” for running a business is used as an apology from people who are uncomfortable with the traditional profit making idea? Do you feel you need to apologise for making a profit? Is your purpose a good marketing tactic that differentiates you from your competitors or is it a true reflection of who you are? If you;d like to get more clarity on how to differentiate yourself from your competitors and make more profit (guilt free), contact me now.